Write then cut is a great feature for customizing cards and other projects with the look of handwritten text. The only true, single-stroke writing fonts are Cricut fonts with a writing style. To find these fonts, click on the Text icon, then the font box, which will bring up the font menu. On the right side, click on “Filter,” then select “Writing” to show only the writing styles of the fonts that have a writing style. Simple Celebrations, Cricut Sans, and Cricut Alphabet are all free to use. There are some free downloadable fonts that are thin enough that they will appear to be single strokes when drawn by the Cricut. The machine will still drawn the outline, but the lines will be close enough together to look like a single line, especially when using medium point pens. On the above card, I used the Sant’Elia Rough Line font from Font Squirrel. Here, I used the same fine point pen with Baby Steps (Cricut font) and Sant’Elia (system font). The system font is slightly darker because it’s actually an outline. Some of the handwritten fonts on DaFont will work as well. It’s important to note that Cricut fonts with a writing style must be attached and can’t be welded. System fonts that are set to draw can be welded or attached. After welding, the text will still need to be attached to a shape. Why would I want to attach? Most of the time, attaching to hold mat placement is best since it can be changed later. You can create a design and change the message each time you write it. In order to write or cut a system font that is attached, however, the font has to be installed on the device. Why would I want to weld? If you are designing on one device and cutting from another, you may want to weld. Welding will convert the text to an image that will be the same on any device, and so welding is useful for designs you design on one device like a computer and then cut from another device like a phone or tablet. However, if you weld, you will not be able to change the text after exiting Design Space. For more on attaching written text, check out my tutorial and video. Here’s my short video on letter spacing in Design Space. 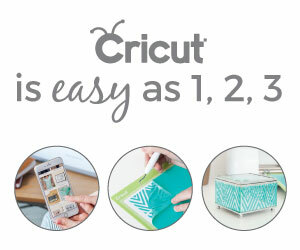 You can find more information on working with fonts on Cricut’s help site.